The EuRopean Action Scheme for the Mobility of University Students – Erasmus+ – is the new EU programme for education, training, youth and sport which was launched on 1 January 2014 and will run until the end of 2020. The previous EU education programmes, including the Erasmus programme, came to an end in December 2013. Erasmus+ combines the EU’s previous programmes for education, training, youth and sport. This means that seven programmes have been replaced by one single new programme which should lead to greater efficiency, simpler application procedures for financial support, and less duplicated work and fragmentation. The grants which will be awarded through Erasmus+ will enable up to four million people to complete part of their education abroad. In addition, a new guarantee facility for student loans is planned for Master’s degree students which will be set up in co-operation with the European Investment Bank Group. All three of the programme’s key actions provide support for higher education and a range of sectors. A distinction is made between centralised and decentralised applications and actions. The European Commission’s Education, Audiovisual and Culture Executive Agency in Brussels is responsible for centralised actions. 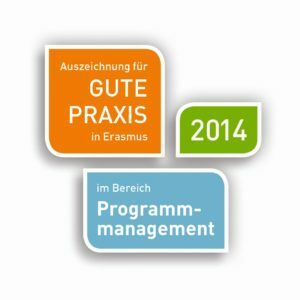 Applications for decentralised actions are managed in each programme country by national agencies; in Germany the agency responsible for elements of the programme related to higher education is the German Academic Exchange Service (DAAD). The first key action supports the mobility of individuals for the purpose of learning. The previous actions in the programme for life-long learning aimed at promoting mobility will be continued with some changes in the target groups and modalities. The programme will continue to promote the mobility of teachers and lecturers. The individual application process which was used by the Comenius programme for further teacher training will be discontinued and replaced by a process where applications are made by institutions. FAU submitted an application for support for mobility measures for students and staff for the 2014/15 period in March 2014. Information for FAU lecturers and non-academic staff who would like to complete a stay abroad (as a guest lecturer or for further training) is available on our Lecturer and staff mobility (international) web pages. In all elements, participants with disabilities can apply for extra funds. Key action 1 also supports joint Master’s degrees. This follows on from the Erasmus Mundus programme. If you would like to apply for one of these degrees, please contact Dr. Brigitte Perlick. For the period of funding 2015-2018, the European Commission selected FAU’s European Master in Lexicography . The strategic partnerships are of particular importance for higher education. All applications for strategic partnerships in higher education should be submitted to the DAAD in a decentralised procedure. If you would like to apply for one of these actions, please contact one of FAU’s EU Co-ordinators. For applications related to capacity building, please contact Dr. Brigitte Perlick. Elements of the programme which involve establishing partnerships between employment and education or supporting IT platforms are centralised and managed by the Education, Audiovisual and Culture Executive Agency in Brussels. If you would like to apply for one of these actions, please contact one of FAU’s EU Co-ordinators. The third key action is concerned with projects designed to support reforms in educational policy within the context of the Europe 2020 strategy. This is a centralised action managed by the Education, Audiovisual and Culture Executive Agency in Brussels. FAU’s participant identity code (PIC) is 999995408. The VAT no. is DE-132507-686. We could not find any entry with the given search term 1331703.